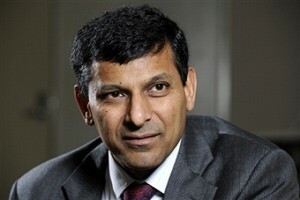 RBI Governor Raghuram Rajan asked for a re-thinking on easy credit for education loans, saying banks were subsidising them under the priority sector lending (PSL) segment. “This is something people have got used to. I am not saying it is bad, but it is something you should ask questions about. We have to keep asking ourselves, why should some sectors get more easy credit than others,” he said. Under priority sector lending norms, banks are mandated to lend up to 40 per cent of their overall credit to marginalised sectors like agriculture, housing, small businesses and education. Banks lend to such identified sectors as per their base rates and the shortfalls of the targets have to go to the low-yielding Rural Infrastructure Development Fund (RIDF). Most banks, especially in the private sector and overseas banks generally fail to meet these targets. Even some state-run banks fail to meet this target due to lower number of branches. Under the present norm, a loan of under Rs 20 lakh taken by an individual for studying abroad qualifies as priority sector lending.